As cofounder of a local-social network startup called Circle, Evan Reas is no stranger to finding novel solutions to unusual problems. When you find yourself positively stumped by a creative obstacle, there are the conventional methods of attack – dream something up by yourself, or maybe hire a professional to take care of the problem from beginning to end. And then there are the more unique, off-the-beaten-path approaches. With 4.5 million people using Circle so far, it would certainly seem so. This iOS and Android app aims to be your local network, showing you who and what is nearby. It can sort your friends by their various Facebook networks (high school, college, workplace) and lets you send them messages. Reas isn’t alone in his endorsement of the psychedelic experience. 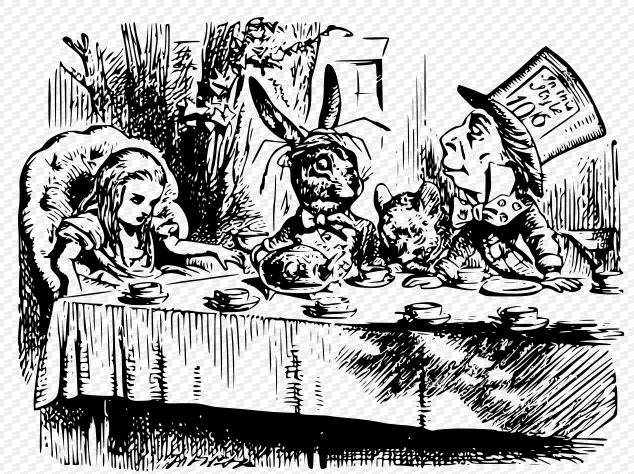 The list of public figures affected by mushrooms and similar drugs runs long and varied, featuring a set of names that includes literary heavyweight Aldous Huxley, musical icon Jerry Garcia, and even Francis Crick, who discovered the double helix structure of DNA. We’re not endorsing this approach, of course. Magic mushrooms are illegal in most states. Circle and its 10 employees have made the app available for free on iOS and on Android. 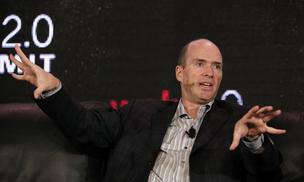 Andreessen Horowitz Partner Ben Horowitz says the fundraising environment for startups is particularly tough today. He says investors are increasingly pushing for more equity for less capital, and founders need to be OK with that. Legendary venture capitalist Ben Horowitz (who makes up the second half of Andreessen Horowitz) has a particularly bleak message for entrepreneurs raising money in the Valley right now: You’re probably worth less to investors today than you were the last time you raised money. He’s partly talking to founders raising an A or B round—entrepreneurs who’ve been to the table at least once before, and raised earlier rounds at a particularly high valuation. The fundraising climate is tougher now, he says. Investors have more leverage and they’re increasingly pushing founders to accept “down rounds,” defined as funding that values their company for less than they were worth in a previous round. Twelve years ago, he and Marc Andreessen were entrepreneurs themselves, running a red-hot startup called Loudcloud. In June 2000, they raised $120 million from investors, at an $820 million valuation. By the end of the year, the dot-com bubble was popping fast, and they couldn’t raise another round. To stay afloat, they were forced to take the company public in 2001, at a $560 million valuation. Everyone knows that starting companies — and investing in startups — is a risky way to earn a living.But few people appreciate just how risky it is. Thanks to a recent tweet from Paul Graham, the founder of “startup school” Y Combinator, we now have a better idea. Graham says that 37 of the 511 companies that have gone through the Y Combinator program over the past 5 years have either sold for, or are now worth, more than $40 million. Most entrepreneurs would probably view creating a company worth more than $40 million as a success (unless the company raised more capital than that). And, on its face, the “37 companies” number seems relatively impressive. In fact, however, the number tells a scary and depressing story. This number suggests that a startling 93% of the companies that get accepted by Y Combinator eventually fail. (Not all companies that sell for less than $40 million are “failures,” obviously. Assuming a company hasn’t raised much capital, a sale between $5 million and $40 million could be considered a success. But a high percentage of Y Combinator companies likely end up being worth zero. And for companies that are hand-picked by very smart investors, the 93%-below-$40 million rate is still surprisingly low). A company accepted by Y Combinator, therefore, has less than a 1-in-10 chance of being a big success. More alarmingly, the companies accepted by Y Combinator are only a tiny fraction of the companies that apply. Some have estimated that Y Combinator’s acceptance rate is 3-5%. If we use the 5% rate, we can estimate that Y Combinator has received about 10,000 applications for the ~500 companies it has chosen over the years. Assuming Y Combinator has even a modest ability to pick winners, therefore, the odds that a company applying to Y Combinator will be a success are significantly lower than the odds of success of the companies accepted into the program. If only 37 of the companies that have applied to Y Combinator over the years have succeeded, this is a staggeringly low 0.4% success rate. Put differently, only one in every 200 companies that applies to Y Combinator will succeed. The reality is that Y Combinator probably misses a few winners, so the actual odds are probably slightly higher. But in case any entrepreneur or angel investor is deluding themselves into thinking that startups are an easy way to cash in, they might want to think again. Being CEO of a startup is quite similar to being the parent of a newborn. The neighbors see a clean cooing newborn with smiling proud parents. But we all know what goes on inside the house. Sleepless nights, stress, no time to attend to other relationships. You are a slave to the new creature. It is ultimately incredibly rewarding, but parenting is very hard work and not at all glamourous. And just the way not everyone handles parenting well, not everyone is a good candidate to run a startup. As a matter of fact, a great startup CEO is as rare as a 70 degree day in March in Boston. 1) Attracts Great Talent. This is the best indicator of success, as it really encompasses all of the other attributes. If A+ talent flocks to work for someone, that person has got something special. Be careful though. An orangutan could be CEO of super fast growing startup and attract great talent. So, make sure it is the CEO who can attract talent, not someone riding the wave at a hot company. 2) Networking God. A good CEO shortens sales cycles with contacts, shortens hiring time with contacts, and shortens fundraising time with contacts. A CEO who networks well can hence shorten time to exit and massively reduce dilution to founders. Give 8% to a great CEO, prevent 20-30% or more in downstream dilution. 3) High Intelligence. The CEO is usually not the highest IQ in the room. But he needs to be in the conversation. At high tech startups, a certain acumen is needed to keep the respect of the troops, and gain the respect of customers and investors. 4) Strategic Thinker. The trick with startups is to channel all of the companies limited resources in the optimal direction. And to quickly alter course as markets dictate so not a single moment is wasted by indecision. This requires strategic thinking, not tactical execution. Many line executives from larger companies struggle as CEOs of startups because they have not had the opportunity to deviate from a strategy that was handed down to them from above. 5) Stamina, Energy and Productivity. This gets back to my point at the top about parenting a newborn. The CEO needs to be all-in, and one of those productive people that doesn’t waste a second of his or her day. The CEO sets the culture at a company, and that should be one of reward for achievement, productivity, hard work, and accountability. So, there you go. Every founder CEO should be very honest in his or her self assessment, and then when they see someone with the above profile, move quickly to hire them. But do your diligence. Hiring the wrong CEO can be every bit as costly as hiring the right one can be helpful. I was in a board meeting recently at Connexity when Dave Gross, the company’s Co-Founder and CEO, made an insightful observation regarding the shortage of Series A funds. He joked that it is akin to turtles hatching on a beach and running in mass toward the ocean. Thousands of turtles are hatched, but only a fraction evades the grasp of predatory birds and reach the safety of the water. Once in the water, another significant percentage of the baby turtles is quickly devoured by hungry sea creatures. The nasty and brutish deaths of the unfortunate turtles are disquieting , but the process ensures that the survivors are (on average) strong, healthy and able to capitalize on the ecosystem’s resources. There is a similar Darwinian aspect to venture capital investing. Companies that exhibit the greatest prospects are those that attract the necessary capital to survive. Non-performing companies (unless they are artificially propped up by a Washington bureaucrat with tax dollars) are usually unable to garner adequate financing. Their demise, albeit painful in the short term, frees the employees (and in some cases the underlying technology) to pursue more productive opportunities. There are no villains in the current Series A drama. The rapid growth of seed investments is the natural result of a number of industry trends, which continue to drive down the cost of launching and operating a web-based business. Some seed investors execute over one hundred investments per year, each in the $25k to $200k range. Paul Singh, a partner at the seed stage firm 500-Startups, effectively articulates the market forces driving this investment strategy in his Money Ball presentation. The other primary factor contributing to the Series A shortfall is the concentration of venture capital funds in the hands of a shrinking number of large firms. This has been driven by venture partners’ desire for larger and larger fees (which are a function of the amount of capital they manage) and institutional investors’ allocation of funds to a handful of VC firms with long (but not necessarily stellar) legacies. This is the “no one ever got fired for buying IBM” approach to investing. 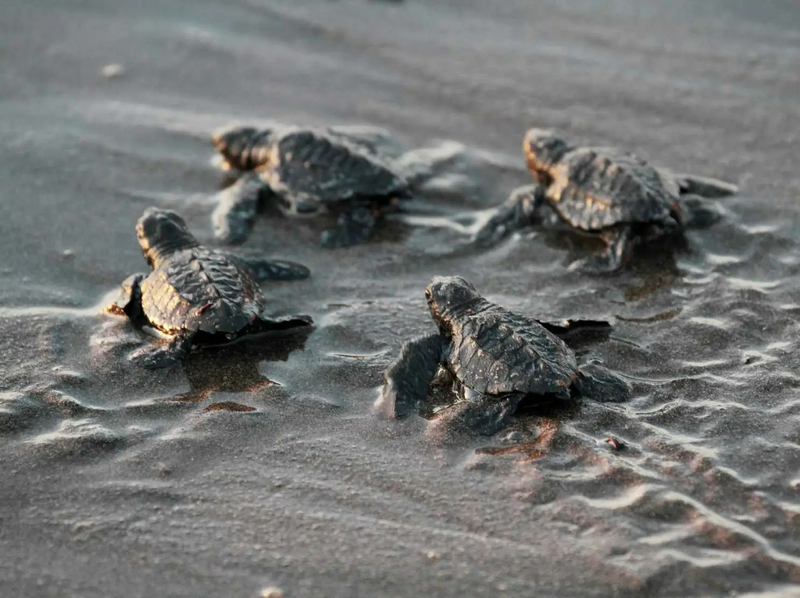 Many of the unlucky baby turtles are healthy and speedy but still fail to reach the relative safety of the ocean. Similarly, companies with a viable value prop and promising future are finding it challenging to raise adequate capital. Fortunately, there is a key difference between startups and baby turtles: entrepreneurs can make their own luck. Take more money at the Seed stage – Although the incremental dilution will be painful, it is prudent to accept 30% – 50% more capital in your Seed round than you would historically, as it will give you a longer runway in which to create value in advance of seeking Series A funds. Court Seed Investors with a demonstrated history of participating in a post-Seed rounds – As noted in Extracting More Than Cash From Your Angel Investors, there are a variety of parameters you should use to identify and target potential seed investors. Given the current paucity of Series A funds, the depth of an investor’s pockets should be given special prioritization. Be realistic about your Series A valuation – Although it may seem counterintuitive, the lack of equilibrium between Seed and Series A investors is causing valuation inflation. Per Mr. Andelman, “The Series A investors are now paying more for businesses they think will have outlier exits.” These high-profile deals, which are covered extensively in the tech press and pursued by numerous investors, contribute to unrealistic expectations among rank and file entrepreneurs regarding a reasonable Series A market-rate. If your company is not perceived to have the potential of a huge exit, do not expect a major uptick from your Seed valuation. If you are forced to accept a lower value, consider reducing the dilutive impact by raising a mix of equity and debt, as described more fully below. Consider venture debt – If your business has a predictable, reliable cash stream and you have a high degree of confidence that you can reach sustaining profitability, it might be prudent to supplement a smaller Series A raise with debt. With current interest rates in the low-single digits, the cost of such capital has never been cheaper. Expect such debt to include a modest equity kicker component, in the form of warrant coverage. In addition, be on alert for camouflaged fees. Customer dollars – Sophisticated entrepreneurs understand that the ideal source of capital is from customers’ wallets. Not only does revenue validate a startup’s value proposition, it results in zero dilution. The sooner you generate customer revenue and internalize paying customers’ feedback, the shorter your path to self-sustainability. If you follow these tips, you are not guaranteed to avoid the Series A crunch, but you will undoubtedly increase your odds of adequately funding your startup, through its Series A round and beyond. Follow my startup-oriented Twitter feed here: @johngreathouse. I promise I will never tweet about double rainbows or that killer burrito I just ate. You can also check out my hands-on startup advice blog HERE. The start-up market is flooded with entrepreneurs claiming to be the next Facebook or Instagram. However, in reality, three out of four start-ups will fail. Investors need to know whether or not they are wisely hedging their bets—and how to do so. Out of Touch with Consumer Demand: As an investor, you should always ask yourself: does the product or service actually solve a key pain point for the target customers? If they build it, will anyone come? A quick survey of target consumers can help to verify if there is actually a need for the product or service offered by the company. This also identifies other unforeseen pain points that could be detrimental to a start-up. Limited Understanding of the Competitive Landscape: Who do consumers think of when asked about a given industry or type of service? What companies or products do they rely on? If the product or service looks to ‘solve a problem’ for consumers, how are they solving that problem today? Often times, gathering deeper insights of target customers can help identify the real competitors to a given business – not just who the start-up perceives. Failing to Validate the Marketing/Sales Plan: In today’s market, products and services are consumed through different vehicles such as online, mobile, and in-store. Start-ups often fail to accurately predict how consumers want to shop for or purchase a product or service. For example, many consumers are only willing to purchase certain types of items AFTER they have actually seen it in person, such as big screen TVs and shoes. Knowing how consumers prefer to shop for or purchase certain products is a good indication if the business owners have properly thought through their marketing and sales strategy. Not Measuring Brand Loyalty: Some business plans rely on the idea of ‘stealing’ customers away from existing brands or products. Customer loyalty can be a stronger force than many entrepreneurs realize, but it’s a force that can be readily measured with proper consumer research. Look for proof that there is a strong understanding and plan of action by start-ups of how they can actually win over loyal customers. Failing to Validate Their Own Research: If business owners or entrepreneurs are presenting research (their own or someone else’s) as a part of their prospectus, investors should take the time to validate or invalidate that research. In particular, extreme claims should always be double-checked. For example, if a start-up claims that 95% of new mothers want their new bio-degradable diapers, it’s worth double-checking this data to support the claim. 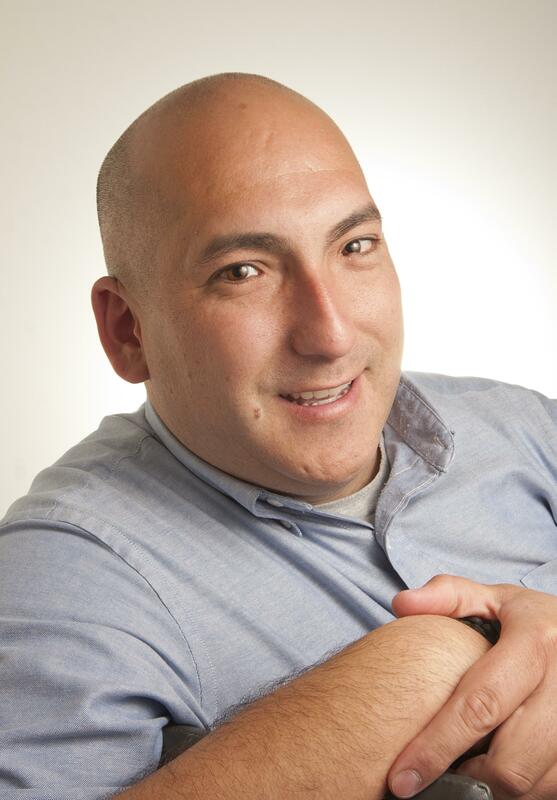 Matt Dusig is co-founder and CEO of uSamp, a driver of online market research and survey respondents used to obtain important consumer and business insights. Opinions expressed here are entirely his own.